What got Illusion Unlimited Salons to this point and how do we stay so successful? We’ve kept our focus on the salon services that matter the most to this community. Our ‘In-Balance Design Consultation’ is the key to really connecting with our salon clients, or guests, as we refer to our clientele. Who you are and how you see yourself is the most important place to start the conversation in the styling chair. What’s our most popular service? Everyone needs their hair cut, so delivering an exceptional haircut is our first priority. It’s the foundation of it all. The next most popular requested service is by far hair color. It’s one of the quickest ways to completely change your appearance or to enhance your current style. Early on, we recognized the popularity, and more so the importance of extraordinary hair color to our salon guests. We made a conscious decision in the early 1980’s to not be side tracked with providing every service possible, but to focus on the most important services to our guests, that being a great cut and great hair color. What’s our most requested hair color? Simply put, blonde. World wide, 90% of us have naturally dark hair color. Blonde brightens and we like that bright feeling it gives us. Next are brunettes, and close behind are today’s hot red’s. Your skin tone and eye color is a key consideration to getting it all just right. Blondes tend to be perceived as fun, outgoing and approachable. Redheads tend to be seen as feisty, unique, confident and adventurous. Brunettes are viewed as smart, capable, mysterious and intelligent. In terms of your professional work life, your haircolor can with for you or work against you. What is the message you are sending? If you change your haircolor, do it for the right reasons and you’ll be much happier with the results. 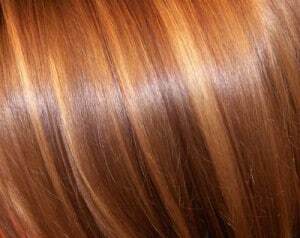 No matter what your hair color choice, your hair must look incredibly healthy for it to look great. That takes the proper products and conditioning care. The real key is to make yourself look like you put minimal effort into your personal style. You never want to look like you’re trying too hard. Hair color tips? Always seek the services of a professional colorist. Professional hair coloring is a true art, one that takes years of study and practice to deliver beautiful natural hair color results. NEVER color your own hair! You’re not painting the kitchen! With haircolor, you’re truly altering your entire appearance and home made mistakes are costly in the tears they produce, not to mention the cost of color correction. Don’t do it! Your hair’s health (and your mental health) will suffer terribly for it! Our goal has been to be THE hair color experts in our local communities. Our continued success tells us we’re accomplishing that!